ABSTRACT: Vernonia amygdalina, commonly called bitter leaf, is a perennial shrub that belongs to the family Asteraceae and grows throughout tropical Africa. Traditional medicine practitioners use the plant as in treatment of several disease conditions especially diabetes mellitus. In this research, the feasibility of tableting Vernonia amygdalina leaf was examined using three binders. Tableting of the leaf powder was done using wet granulation method. Various physicochemical parameters (angle of repose, bulk density, tapped density, Hausner’s ratio, Carr’s index, ash value etc.) were determined and found to be within normal limits. The strength of the tablets was assessed by crushing strength and friability of the tablets while the release properties were determined using disintegration and dissolution times. The result showed that the feasibility of tableting the leaves of Vernonia amygdalina is high, possible and promising and that gelatin is a better binder compared to maize starch and microcrystalline cellulose for tableting the leaf of Vernonia amygdalina. INTRODUCTION: A number of diseases have been reported to be successfully treated using herbal remedies 1. In traditional medicine, herbal drugs are usually prepared an form of extracts and solution by maceration, extraction and decoction techniques 2 or as powdered leaf, bark or root. In Africa, up to 80% of the population uses traditional medicine for primary health care and the global market for herbal medicines currently stands at over US $ 60 billion annually and is growing steadily 3. It is cultivated in Nigeria mainly for its nutritional value 5. The plant (especially the leaf) has been found useful in the ethnotheraphy of diabetes 6, asthma, schistosomiasis, malaria 7, measles, diarrhea, tuberculosis, abdominal pain and fevers, cough 5, and for lowering lipids 8-9. Researchers recommended the use of Vernonia amygdalina as an adjunct to dietary therapy and main therapy for diabetes mellitus 6-9. There are conflicting reports in literature on toxicity of Vernonia amygdalina, it was reported by several authors to be non-toxic 4, 10-11. However, Adegbite and Sanyaolu 12 cautioned the use of the plant because of its cytotoxicity. They concluded that low concentration and long spacing of dosage to be used. The study therefore, was aimed at formulating bitter leaf powder into tablets using various binders. MATERIALS AND METHODS: Leaves of Vernonia amygdalina (asteraceae) were obtained from the Monday market, Maiduguri, Borno State. It was identified by Professor S. S. Sanusi a taxonomist from the Department of Biological Science, University of Maiduguri. Maize starch, Magnesium stearate, Talc, Microcrystalline cellulose B.P. and Gelatin from BDH chemicals, Pooles, England, and Lactose (India) were obtained from commercial sources. Drying and powdering of Vernonia amygdalina leaves: The leaves were dried indoor at the Pharmaceutics Laboratory University of Maiduguri at room temperature until they became crispy dried. The dried leaves were then powdered using the local grinding machine, which was washed and cleaned prior to the grinding. Characterization of the Vernonia amygdalina leaves: Organoleptic characters such as taste, colour, odour, texture were observed and recorded. Leaf shape, margin, apex, base, epidermal hairs and venation were also used to characterize the leaves. Where h = height and r = radius of the circular heap. Where WA and WSP are weight of ash formed and initial weight of sample powder respectively. Moisture content: The moisture content of sample powder and the granules was determined using a moisture analyzer (Sartorius, Germany).A 3g weight of each sample starch powder was poured unto the moisture balance and evenly distributed on the tray. The machine was then set at 130 ± 1 °C. Where, WS and WD are the weights of the sediment formed and weight of the dry sample respectively. (Muazu et al, 2011). Preparation of V. amygdalina granules: Wet granulation method was used in preparing the granules according to the formula as follows. 500mg of V. amygdalina powder, 7.5%, 10% and 12.5% of maize starch and microcrystalline cellulose and was used forphase I formulations, while 5%, 7% and 9% for gelatin was used, all other parameters are same for phase. Weighed V. amygdalina powder and the disintegrant (maize starch) were dry mixed in a porcelain pestle and mortar for five minutes. Subsequently, sufficient lactose was added separately after five minutes of mixing. Maize starch B.P., gelatin and microcrystalline cellulose binders were used at various concentrations. Sufficient quantity of maize starch B.P., gelatin and microcrystalline cellulose mucilage at these concentrations was then added and mixed until a damp solid mass was formed. The mass formed was passed through number 5 stainless steel sieve to form granules. The wet granules were air dried and passed through number 8 stainless steel sieves in order to produce uniformly sized granules. Magnesium stearate and talc were then added and mixed thoroughly before the granules were characterized. Compression of Granules into Tablets: The granules were mixed thoroughly with extra granular excipients (lubricants and glidants, magnesium stearate and talc). The granules were then compressed in a single punch tableting machine (Manesty type F3, England) at a compression pressure of 7.5 metric tonnes. The tablets were kept in air tight container for 24 hours prior to quality control tests. This is to allow for recovery 14. Crushing strength: The Erweka hardness tester (TBH 100, Germany) was used in measuring the crushing strength of the tablets. Three (3) tablets were randomly selected from each batch. Each of these tablets was in turn placed between the anvil and the spindle of the Erweka hardness tester and subjected to increasing pressure by turning the knurled knob in a clockwise direction at constant rate until the tablet was crushed. The value of the pressure applied at this point gives a measure of the tablet hardness in KgF. The mean of the three determinations was taken for each batch. Friability test: Ten (10) tablets were randomly picked from each batch and weighed accurately. They were then placed inside the drum of Erweka friabilator (D-63150, Germany) and operated for four (4) minutes at a speed of 25 rpm. Thereafter, the intact tablets were removed from the drum, dusted and weighed. The percentage loss of weight was calculated and recorded as friability value for that batch. Disintegration test: The British Pharmacopoeia, (2009) 15 method was used. Six tablets were randomly selected from each batch and placed individually in the six tubes of the rack. The rack was then raised and lowered at constant rate in distilled water contained in a glass jar suspended in a water bath whose temperature was thermostatically maintained at 37±1°C the time taken for the last tablet or its fragment to pass through the 2mm mesh into the disintegrating medium (distilled water) was recorded for each batch. Dissolution Time Test: The Erweka dissolution test apparatus (model DT 6R, Germany) was used to determine the dissolution rate of the V. amygdalina tablets from the different batches using the procedure as stated by the British Pharmacopoeia (BP, 2009) 15. The dissolution medium used was 900ml phosphate buffer pH 5.8, thermostatically maintained at 37±0.5°C. The basket which was adjusted 25mm away from the base of the glass jar was set to rotate at 50 rpm. One tablet was placed into each glass jar. Samples of the dissolution medium (5ml) were then withdrawn at specified time interval of 5, 15, 30, 45, and 60 minutes respectively 13 and spectrophotometrically analyzed for V. amygdalina tablets at 245.3nm. After each withdrawal of the sample, same volume of the dissolution medium was replaced. RESULTS AND DISCUSSIONS: The organoleptic properties showed in table 1 falls within range as described earlier 17 and therefore confirms V. amygdalina leaves. The physicochemical properties of V. amygdalina powder is presented in table 2, the moisture content, angle of repose, bulk and tapped densities were all within the normal limit 13. The Ash value (89.05%) was high indicating a lot of organic materials. 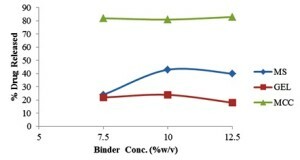 The result of angle of repose of granules prepared from V. amygdalina using different binders are shown n Table 3, there was slight decrease in angle of repose of the granules with increase in binder concentration. Increase in binder concentration is known to increase in particle size of the granules 16 and increase in granule size decreases the surface area and hence lead to decrease in angle of repose. 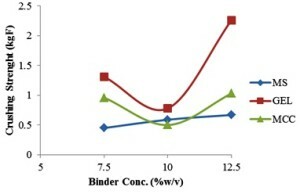 The bulk densities of all the granules increased with increasing binder concentration for all formulations (table 3), this was as a result of increased packing of the granules as the binder concentration increases. A slight difference of Hausner’s ratio was observed with no consistency as binder concentrations of MS, GEL, and MCC increase. Hausner’s ratio for the powdered V. amygdalina gets close to having a poor flow property with a value of 1.45 as against the highest limit of 1.5. However all the granules granulated from the three binders showed good flow property as they fall within the range of 1.25-1.5 18. MS=maize starch G= Gelatin MCC=microcrystalline cellulose I, II and III represents binder concentrations at 7.5%, 10% and12.5% respectively. The granules generally showed high moisture content as shown in table 3. This can be attributed to the fact that the powdered leaves have different components like organic matter, cellulose, fibers, chlorophyll, trichomes, connective tissues etc which have different cellular origins thereby making them to have very high force of adhesion and low force of cohesion which is a strong contributing factor to the almost poor flow property of the powder sample, in addition to the inherent moisture content of the binders used. This fact is also buttressed by the high hydration capacity of the powdered sample (3.6) shown in table 2. The general appearance of tablets, its visual identity and overall ‘elegance’ is essential for consumer acceptance, control of lot-to-lot uniformity and general tablet-to-tablet uniformity and for monitoring the production process. Generally microcrystalline cellulose tablets appear smoother and with less chipped edges. It is faint green in colour. Consistency in general appearance is seen more in microcrystalline cellulose tablets. Tablets containing maize starch and gelatin as binders are generally greener and rough textured with more chipped edges than microcrystalline cellulose tablets. The taste generally is bitter with no odour. The shape of the tablets is round in all with no observable variation. The mechanical strength of a tablet provides a measure of the bonding potential of the material concerned and this information is useful in the selection ofexcipients. An excessively strong bond may prevent rapid disintegration and subsequent dissolution of a drug. Weak bonding characteristics may limit the selection and/or proportion of excipients, such as lubricants, that would be added to the formulation. The mechanical properties of pharmaceutical tablets are quantifiable by the friability, hardness or crushing strength crushing strength-friability values 19. Figure 1 shows the crushing strength formulations. Though the formulation failed the test, It was observed that the tablets crushing strength improved as the concentration of the binder increased in all formulations. A marked improvement was however recorded for GEL 12.5 % w/v with crushing strength of 2.26 ± 0.65. This is due to high binder effect of gelatin at very high concentration. The observed low crushing strength might be as a result of other components of the leaf such lignin, proteins, fats etc that are difficult to compress. Friability test is carried out to check the ability of the tablets to withstand the rigours of transportation, handling and use. The tablets to be evaluated pass the test if the loss in weight is less than 1% as stipulated by the United States Pharmacopoeia (2008) 20. Most of the tablets failed the test except those of highest binder concentration as shown in figure 2. The disintegration test is a measure of the time required under a given set of conditions for a tablet dosage form to disintegrate into particles prior to absorption. From the results (figure 3), all the tablets passed the test by disintegrating in less than 15 minutes as stipulated for uncoated tablets 15. MCC has the lowest disintegration time followed by MS and then GEL. As the binder concentration is increased, disintegration time also increases. This was as a result of additional bonds formed by addition of binder and hence difficult for water to pass through and break the tablets 21. 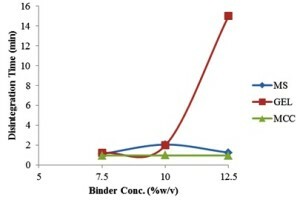 Figure 4 illustrates the dissolution times profile for various batches tablets formulations containing different binder concentrations. The concentrations of microcrystalline cellulose (MCC7.5%, MCC10%, MCC12.5%) showed a sharp increase in dissolution (up to 80% at 30min). 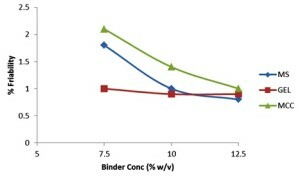 FIGURE 4: EFFECT OF BINDER CONCENTRATION ON PERCENTAGE CONCENTRATION OF DRUG DISSOLVED. CONCLUSIONS: From the results of the research conducted, it can be said that the feasibility of tableting the leaves of Vernonia amygdalina is high, possible and promising. Allagh TS, Ameh GO and Okafor IS. Formulation and Evaluation of the Physicochemical Properties of Ageratum Conyzoides (Fam Asteraceae) Granules and Tablets. Nigerian Journal Pharmaceutical Sciences 2009; 8 (2): 18 – 25. Autamashih M, Isah AB, Allagh TS and Ibrahim MA. Heckel and Kawakita Analyses of Granules of the Crude Leaves Extract of Vernonia galamensis Prepared Using Gelatin as Binder. 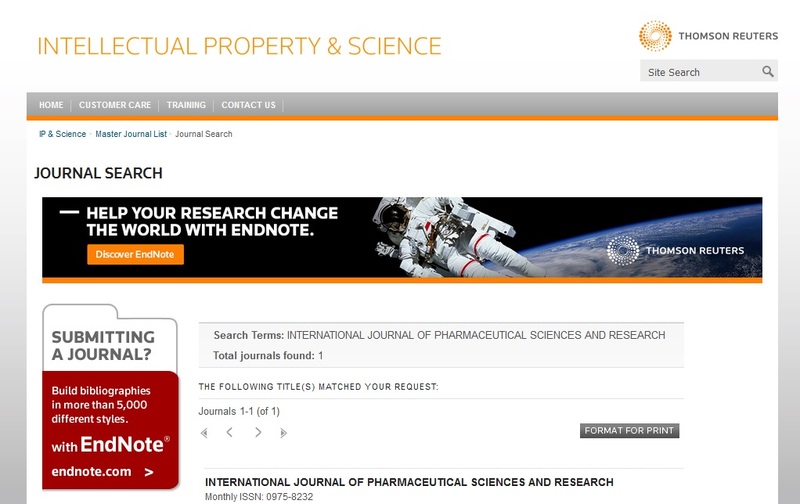 International Journal of Pharmaceutical Science and Research 2011; 2(10): 2566-2571. Muazu J and Kaita AH/ A Review of Traditional Plants Used in the Treatment of Epilepsy Amongst the Hausa/Fulani Tribes of Northern Nigeria. African Journal of Traditional Complementary and Alternative Medicines. 5 (4): 387 ‐ 390. Ojiako A and Nwanjo HU/ Is Vernonia amygdalina Hepatotoxic or Hepatoprotective? Response from Biochemical and Toxicity Studies in Rats. African Journal of Biotechnology 2006; 5(18): 1648-1651. Owen OJ. Amakiri AO and Karibi-Botoye TA. Lipid – Lowering Effects of Bitter Leaf (Vernonia amygdalina) in Broiler Chickens Fed Finishers’ Mash. Agriculture and Biology Journal of North America 2011; 2(6): 1038-1041. Akah PA, Alemji JA, Salawu OA, Okoye TC and Offiah NV. Effects of Vernonia amygdalina on Biochemical and Hematological Parameters in Diabetic Rats. Asian Journal of Medical Sciences 2009; 1(3): 108-113. Nwangwu S, Ofusori DA, Josiah S, Amegor Of, Njoya H And Ayoka AO. The Effects of Aqueous and Ethanolic Leaf Extracts of Vernonia amygdalina on Some Vital Organs in Adult Wistar Rats Journal of Cell and Molecular Biology 2011; 9(1): 75-82. Amole OO, Izegbu MC, Onakoya JAA and Dada MO. Toxicity studies of the aqueous extract of Vernonia amygdalina. Biomedical Research2006; 17 (1): 39-40. Adegbite AE and Sanyaolu EB. Cytotoxicity tesTing of Aqueous Extract of Bitter Leaf (Vernonia amygdalina Del.) using the Allium cepa Chromosome Aberration Assay. Scientific Research and Essay 2009; 4(11): 1311-1314. Muazu J, Musa H, Isah AB, Bhatia PG and Tom GM. Extraction and characterization of Kaffir Potato Starch: A potential source of pharmaceutical raw material. 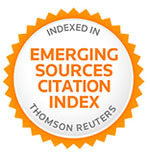 Journal of Natural Product and Plant Resources 2011; 1(2): 41-49. British Pharmacopoeia, Vol. I and II: Her majesty’s stationary office, University press Cambridge (electronic copy) 2009. Ohwoarworhua, FO Adelakun TA and Kunle OO. A comparative Evaluation of the Flow and Compaction Characteristics of α-Cellulose obtained from Waste Paper. Tropical Journal of Pharmaceutical Research 2007; 6(1): 645-651. Odeku OA. Assessment of Albizia zygia gum as a binding agent in tablet formulation. Acta Pharm., 2005; 55:263-276. United States Pharmacopoeia 30/National Formulary 25, United States Convention, Rockville. 2007, 1942-1943. Musa H, Ochu SN and Bhatia PG. Evaluation of the Tablet Binding Properties of Barley (Hordeum Vulgare) StarchInternational Journal of Applied Pharmaceutics 2010; 2(4): 4-7. Muazu J, Abdulwoliyu A and Mohammed GT: Design, Formulation and Evaluation of Bitter leaf tablets. Int J Pharm Sci Res 2013; 4(5); 1789-1795.